If you were working with a real estate agent to find your dream home, I’m sure you’d have a list of things you’d want in your new home. Large kitchen big enough for a family of five. Large master suite with a balcony, his and hers walk-in closets and a large bathroom with a garden tub and separate toilet area. A finished basement. Three car garage. Quiet neighborhood. Near good schools. I could go on. This is just the start of a dream home wishlist. Of course it doesn’t mean you’ll find a home that has exactly EVERYTHING listed, however your agent would have a pretty good idea of what you’re looking for. Otherwise, you could spend a lot of wasted time and energy looking at homes that do not meet your expectation. 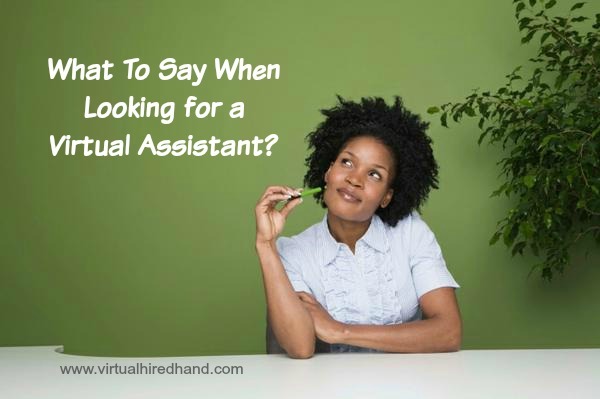 When it comes to searching for a virtual assistant, you want to create the same type wishlist. What do you want them to do and in detail. If you want help with your website, be specific. What does that look like? Is that posting your blog posts, making changes to your pages, adding new pages such as new products? Is that setting up an opt-in page, updating plugins and updating WordPress? Want help with your social media? Is that scheduling our post, creating images for social media, answering questions on social media, building likes and followers? Which platforms does that include Facebook, Instagram, Twitter, what? 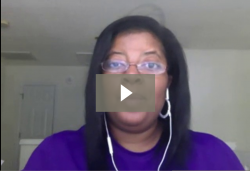 Want help with your webinar, does that mean you want the VA to attend the actual event? Offer client and technical support during the event? Setup the event? Setup email promotions and social media for the event? The details are SUPER important. Paint a picture so the person on the other end of your information has a clear picture of what you want just like you would for your real estate agent. If you’re a coach, here’s a blog post I wrote to help you in finding the right virtual assistant. You’ll see better results in your search when you provide details about what you want your virtual assistant to do. The right virtual assistant will know how. However, she won’t know she’s the right one if you don’t offer details. If you need assistance writing out job descriptions for job boards, social media posts, or email, I’d love to help. Let’s talk! Click Here to schedule your appointment today. Note, I’m asking what you want your virtual assistant to do. By the time we’re done, you’ll have a nice wishlist. Image courtesy of AWeber, customized by moi!